Your tulips are eye candy for me... I'm not in the prettiest spot on earth. :-) While I was in Europe last year during the spring season, I re-fell in love with tulips (you may remember I posted some on my blog back then). 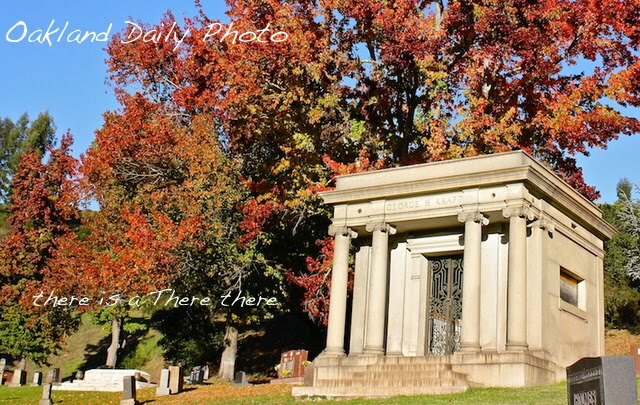 I'd so like to visit Mt View Cemetery in Spring. Lovely photo. I love the idea of this cemetery being like a 'piazza'!. Perhaps the permanent residents feel a little less lonely for all that?! Such dazzling tulips! Like a celebration of life that has been and is! I continue to be amazed by this lovely cemetery. What a gorgeous well composed shot! What he said! Great shot from a great angle. What a nice geste to plant tulips there. There is a cemetery here that has a similar display of tulips in front of their gates. But we don't have any blossoms yet. What a lovely picture. I love the tulips looking so big and bold in the foreground! 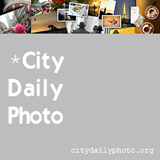 Carolyn, do you know what happened to City Daily Photo??? I like the idea of the cemetery being used by the wider community. Beautiful tulip display. Regarding your comment, yes, Huacachina is a natural oasis, artificially maintained. These tulips are beautiful.I thought our cemetery would be full of people walking around, but maybe I am there at off hours, because mostly it is empty. ooh, i love flowers! very pretty! interesting that that cemetery does not seem to be a place of silence. different. but nice, actually! why would you always have to be silent at a cemetery...? He thanks you for the reminder! Just stunning. Hope they withstood this last downpour. Lovely composition in this shot. The tulips are just wonderful! Oh, how I wish that at least one of our cemeteries would do something similar, and include the dearly departed in the living world again. I am sure it would be well attended and might even increase the flow of visitors outside the event. Gorgeous scarlet in these tulips, Carolyn. What a great shot ! 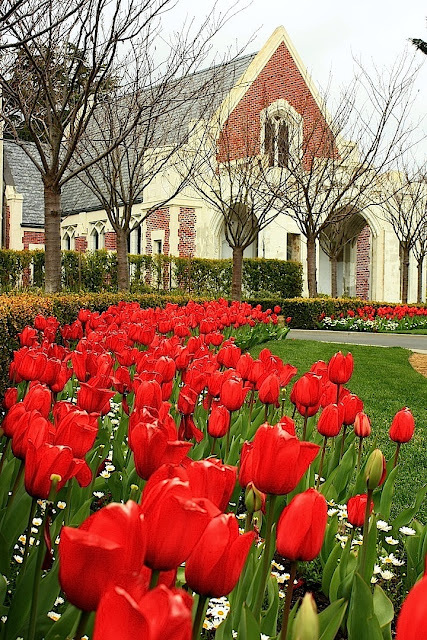 The tulips are amazing so as the composition of your picture.